Casey Matthews serves as a retail leasing associate, representing both property landlords and tenants at Matthews™. Casey specializes in identifying and connecting landlords and tenants to prospects that will provide them the greatest long term growth and profitability. Growing up in the Greater Los Angeles area, Casey leverages his in-depth market knowledge and expansive network to provide the best potential strategy for his clients. Along with this, his expertise in financial analysis and his dedication to the client ensure the highest level of service. Prior to joining Matthews™, Casey played five seasons in the National Football League (NFL) with the Philadelphia Eagles and the Minnesota Vikings. Through his career with the NFL, Casey has built and maintained many deep business relationships. 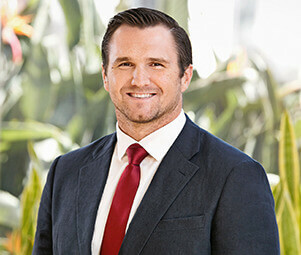 His innate drive and relentless work ethic have carried over into his professional endeavors for his clients.